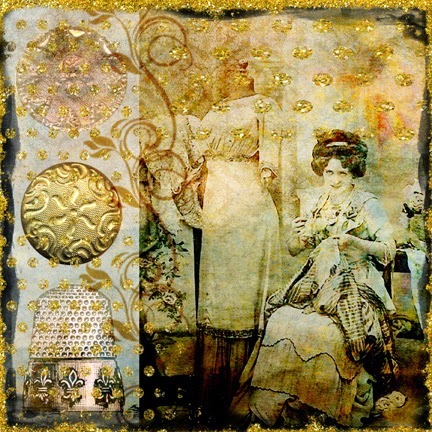 So begins the second week of the Sewing theme creative challenge. I've enjoyed the entries so far, and here is more inspiration from the fabulous Design Team. 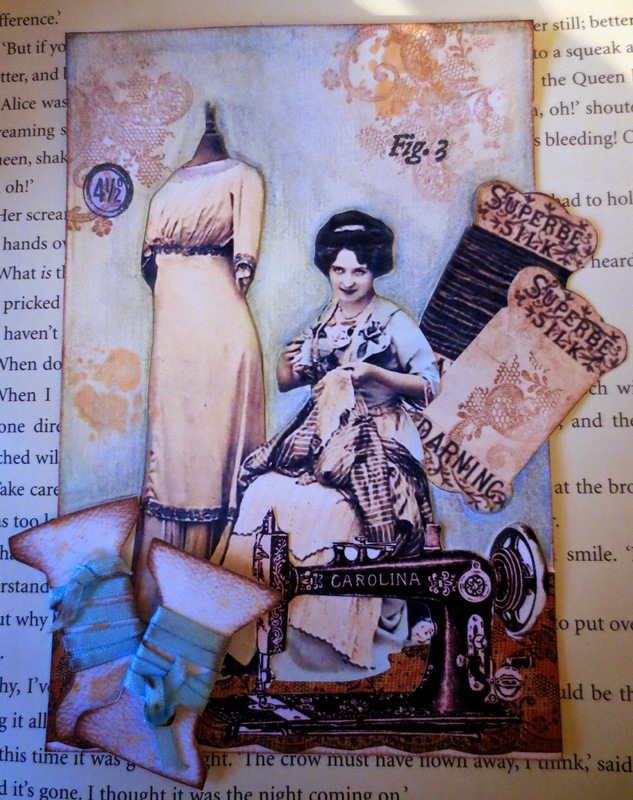 I love that these are three different creations/interpretations with the same sewing lady from my Vive St. Anne sewing ladies collage sheet! That was just a coincidence, but cool, huh? Just a reminder, the SEWING theme can include stitching, quilting, or any kind of needlework actually incorporated into your creation, or it can include images of sewing, quilting, crocheting, knitting, even spinning. Remember that any medium is OK, so in addition to cards, paper crafts, and digital art, feel free to enter pictures of your fabric creations! Need vintage sewing images? You'll find buttons and thimbles, scissors and spools, antique sewing machines, photos of vintage ladies sewing (Vive St. Anne, the patron saint of seamstresses! 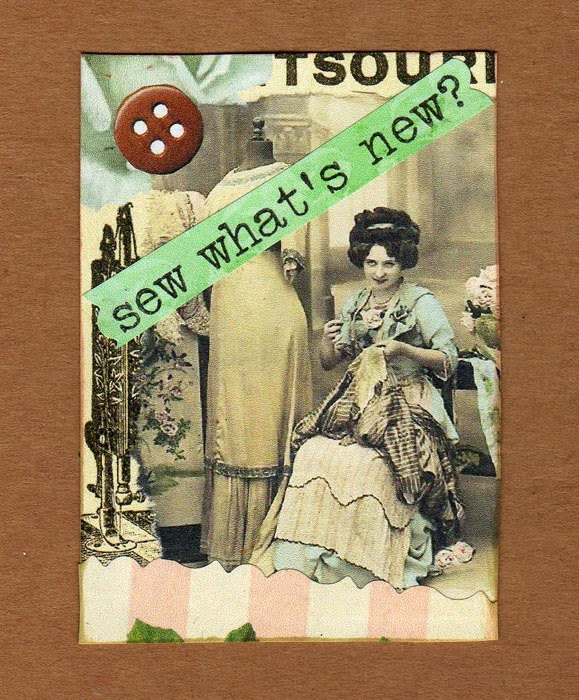 ), vintage thread ads and fabric labels, and more at Lunagirl.com!